Meet Our New Sister Team: FRC Team 4769 – The Electrodes! The Electrodes is a brand new FIRST Robotics Competition (FRC) community based youth robotics team co-sponsored by Team Duct Tape’s parent sponsor, Learning is for Everyone (LI4E) and Tampa Bay Microcontrollers and Robotics , and currently based at Dixie Hollins High School in St. Petersburg. 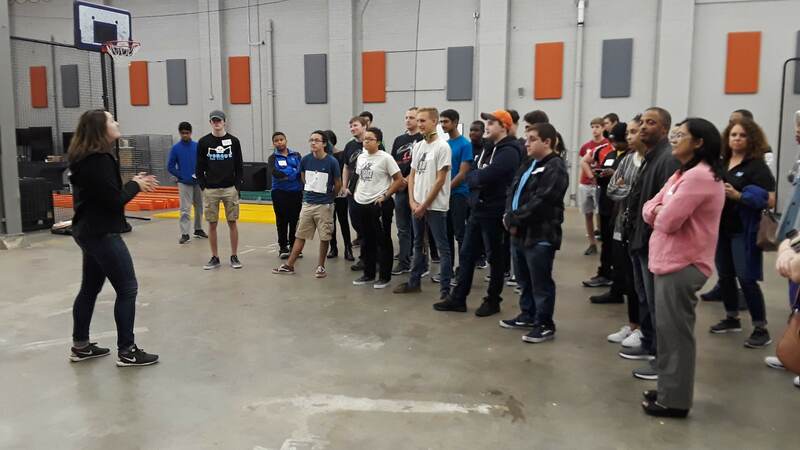 FRC is a FIRST high school level STEM education program where students work with adult mentors to design, build, and program sophisticated robots to compete in an alliance format against other teams, but with a much shorter build season – just six weeks! Under strict rules, limited resources, and time limits, teams of 25 students or more are challenged to raise funds, design a team “brand,” hone teamwork skills, develop strategy and build and program robots based on sound engineering principles that perform prescribed tasks against a field of competitors. Members of the Electrodes are guided by the same Curiosity Driven Learning guidelines set forth in our LI4E FIRST Handbook, which seeks to elevate character,teamwork,and academic and intellectual achievement above all else. The Electrodes inaugural meeting at Dixie Hollins High School earlier this week provided an exciting pre-season kick off for the rookie team, and Team Duct Tape is looking forward to some great collaborative cross-training and learning opportunities with our new FRC sister team! You can learn more about the Electrodes at their new website at http://frcteam4769.wordpress.com . Congrats Electrodes and GO TEAM!